Here's the list of awesome, creative and helpful cloud-based apps and services jsB@nk want to present: Codeanywhere, Dropbox, GridFox, CSSDesk, Typetester, Draftboard, GitHub, Evernote, Pixlr, Adobe Kuler. Pixlr is a cloud based photo editing tool that has similar functionality to Adobe Photoshop or the GIMP photo editing tool. Pixlr provides several filter affects for images similar to Instagram. The tool comes in a browser based tool and also a mobile device app for IOS and Android. If you want to check more web-based photo editing tools, please go to 18 Excellent Free Online Photo Editors Alternate Photoshop. Draftboard is a design management tool created with project teams in mind. It allows you to load up design mock ups and project updates. There is also a feedback tool that allows clients to make notes and give comments on files uploaded for review. This tool is particularly useful for helping manage teams that work together from a distance and need to collaborate with each other through the web. Gridfox is a Firefox extension that allows developers to create prototypes of grid based designs for their websites. Grid frameworks prototypes can be saved for later use and stored on the cloud. Adobe Kuler is a great web design tool that helps choose color palettes for the creation of web sites. Kuler is compatible with most CS5 applications and also works with other Adobe products such as Fireworks, Illustrator, and Photoshop. Evernote is a great tool for saving and organizing research materials. 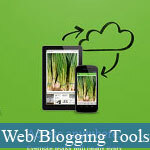 It allows you to not only bookmark sites, but also save screenshots, image and video files and even whole web sites. The tool is free for users up to 60 MB of storage per month. Dropbox is a great data storage service that allows users to save code, images and other files. The service allows for a basic service of 2 GB for free. Development teams can make particularly good use of the tool to share code and image files between each other when working remotely. Typography is the most important aspect of web design other than choosing the right color palette. Typetester is a browser based tool for helping web designers choose and preview a number of fonts for use on your site. Typetester allows web designers to preview the size and family of several fonts, as well as spacing and text colors. GitHub is a markup design tool that allows you to upload icons, frameworks, and CSS to a backend cloud storage engine. This helps with grid layouts and is an all around useful design tool for web developers. He has remarkable achievement in solving the erp cloud services queries with perfect solution. Apart from that, he is an expert in web development.